From marvels of engineering to the structured application of common sense, innovation in health is at the heart of what the health service is and how it has evolved over the last 70 years. In the UK, it is often said that the NHS is the closest thing we have to a national religion – and if that is true it’s a theology based on progression, problem solving and team work. It’s also one that we all, patients and healthcare professionals, industry execs and researchers, play our part in. NHS Digital and the Academic Health Science Networks (AHSN) have launched #NHS70innovations to mark that tradition. The initiative launched on April 25th and runs until July 5th; marking the 70 days leading up to the NHS’ 70th birthday. Each day a spotlight is being shone on a different example of collaborative innovation in the service’s long history. 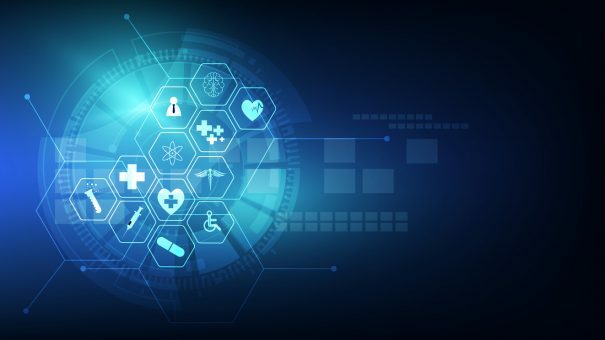 They include new technologies and devices, innovative ways of working and service improvements, but all will have one thing in common: they have been designed by multiple stakeholders to improve patient care. They have also all been developed with help from either NHS Digital or AHSN – meaning they are shining examples of collaboration. He added that England’s 15 AHSNs collaborated with industry, researchers, academia and NHS organisations to “find the very best new solutions that meet real needs”. The initiative, launched with a perfect example: East Midland’s diabetes foot ulcer digital imaging and assessment service, which uses Silhouette, a portable 3D imaging and information system. It comprises a digital wound camera, wound assessment software and an information database, meaning it can be used to assess and monitor ulcers. By working with the companies behind the technology, Entech Health and Aranz Medical, East Midlands AHSN has used Silhouette to move routine diabetic foot ulcer treatment from the acute out-patient setting into the community. “This innovative service means patients can be seen and monitored much closer to home, outside of the often busy hospital environment. “This is better for the patients and is also easing the pressure on our foot clinic at the hospital,” said Professor Fran Game, Consultant Diabetologist, Derby Teaching Hospitals NHS Foundation Trust. The service, which carries projected savings of up to £1.8million a year across the East Midlands, has significantly reduced outpatient waiting times. Three per cent of patients were seen within 30 minutes in 2016, compared to 72 per cent in 2017. In fact, it’s been so successful that digital wound assessment systems are being considered in other chronic wound management pathways, such as the tissue viability service. Of course, innovation isn’t all about highly engineered kit, sometimes the right answer is the low-tech one. But it still requires collaboration. Wessex AHSN worked with Alzheimer’s charities, clinical commissioning groups, Public Health England, Health Education England and companies providing dementia services within and outside the NHS to deliver iSpace. The programme provided staff training, encouraged changes in the physical layout of surgeries and supported them to develop appropriate literature. A total of 153 GP surgeries in Hampshire, Dorset, the Isle of Wight and south Wiltshire have so far been given “dementia-friendly” accreditation. From older people to teenagers, innovation in the NHS benefits everyone, as shown by another example of stakeholder collaboration, ChatHealth. The secure, confidential service gives younger people the opportunity to talk about their health issues in a way they understand – by text. First developed by school nurses at the Leicestershire Partnership NHS Trust (LPT), the programme was taken on by the East Midlands AHSN in 2015. The two organisations have since rolled it out to around one million teenagers access the UK. The teams that have ChatHealth say they get more contact from more new service users, particularly those in traditionally “hard-to-reach” groups. “Making the service available to around a million teens is a massive milestone for us and we couldn’t have done it without the support of the Trust and EMAHSN. “ChatHealth is improving access to support for service users who otherwise might not engage with healthcare,” said Jimmy Endicott, ChatHealth project lead at LPT. Everyone working in and around our NHS has the same driving force – a health service that is free at the point of delivery, based on clinical need, not the ability to pay. That is shown in all the work that goes on to bring innovation from the drawing board to the clinic. And, as demonstrated by the #NHS70Innovations, it is driven by collaboration across the NHS, industry, advocacy and beyond. Noel Gordon, chairman of NHS Digital, said: “The NHS’s creation 70 years ago was a giant step not only for Britain, but in the post-war development of healthcare internationally. The NHS’ founding ambition, its big and brave idea continues to inspire and drive improvements in healthcare today. For more innovation in health, follow #NHS70Innovations on Twitter or check out the website.